Thanks to Ray S. libcutter now supports some basic G-Codes. Ray wrote a g-code interpreter in python (sites.google.com/site/drbobbobswebsite/cricut-gcode-interpreter ), which I then ported into C++, and libcutter. 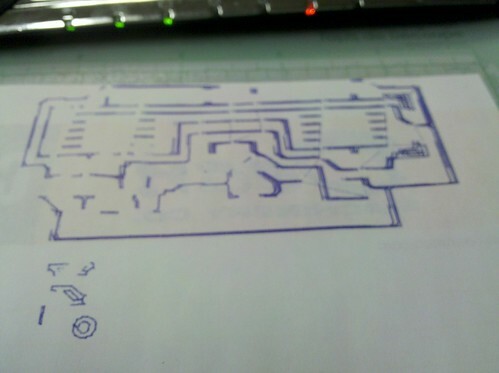 This is my first PCB drawing, which is a reprap PCB that Ray sent me. G-code support helps open up many more possibilities, as it is a common standard for machine control. Currently, the interpreter only supports absolute positions, and Z of 0 or 1, to pick up or put down the tool.